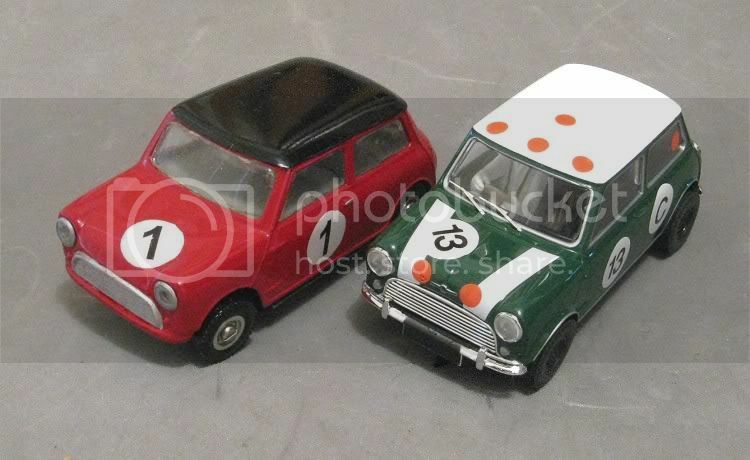 Minis had already contested the great race with moderate success, and a steady influx year on year of foreigners who wanted to chance their arm at a time of little international motor sport made sure the field was international in representation. BMC Australia put the team together and convinced Flying Finn Rauno Aaltonen it was all good; they gave Rauno a first class co driver in the form of Aussie Bob Holden and all that was needed was a bit of luck to round off the weekend....and luck they got in spades. The number two car was driven by another rally ace Paddy Hopkirk, his luck ran out on lap 28 leaving the number three car driven by John French to carry the flag. The classes for the race were decided by the recommended retail price... an unusual concept by modern standards but lets not forget, this race was not about tuning and modifying; it was about racing cars off the showroom floor ...box standard!! 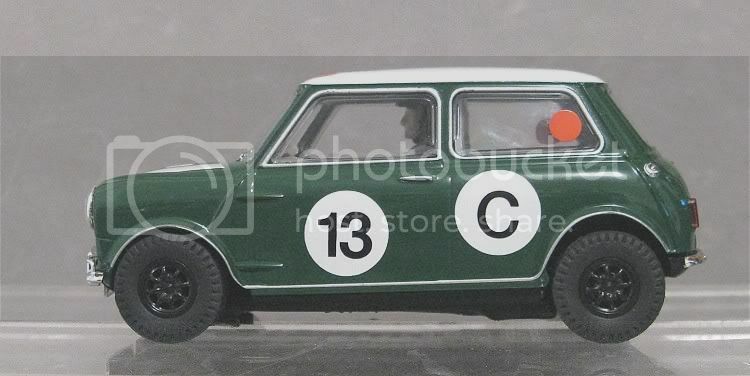 and the letter symbol beside the racing number indicated the class entry, In this car’s case the Cooper S was classed group C for cars costing between $2,041 to $2,700. There was no official outright winner and like Le Mans it was about several classes of cars all racing on the same track in individual events. On this occasion (1966) seventeen of the fifty three entrants were Cooper ‘S’s, so the law of averages dictated that at least one in three cars in the results would be ‘S’s. 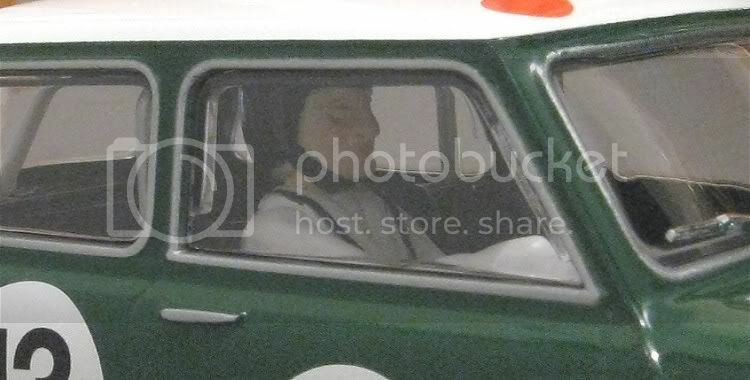 Not so.... the first nine cars home were Cooper ‘S’s without a gap then came a lone pair of Valiant VC V8 Automatics! European cars continued to fill the placings until a lone Holden HD X2 appeared in nineteenth place. The combination took 7hr 11 min 29.1 secs to cover the 130 laps. So where does Mr Scaley’s model fit in to all this? Well this is where we dovetail it in rather nicely into the narrative. 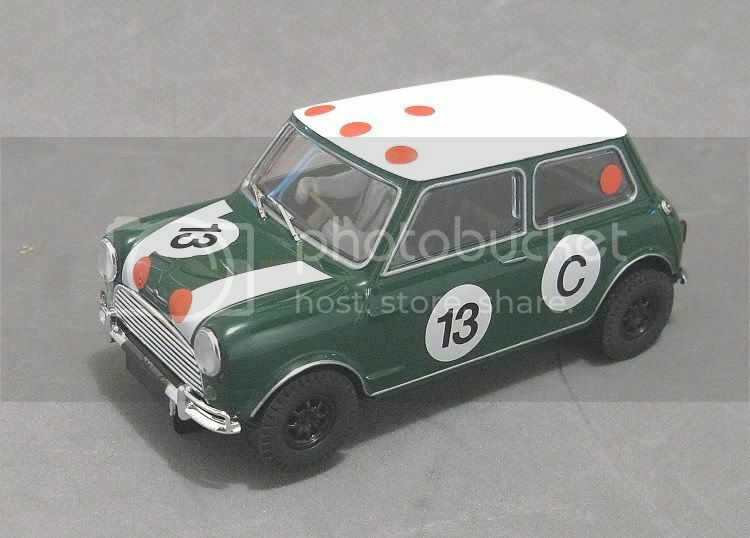 Mr Scaley under different ownerships has been making minis for quite some time. 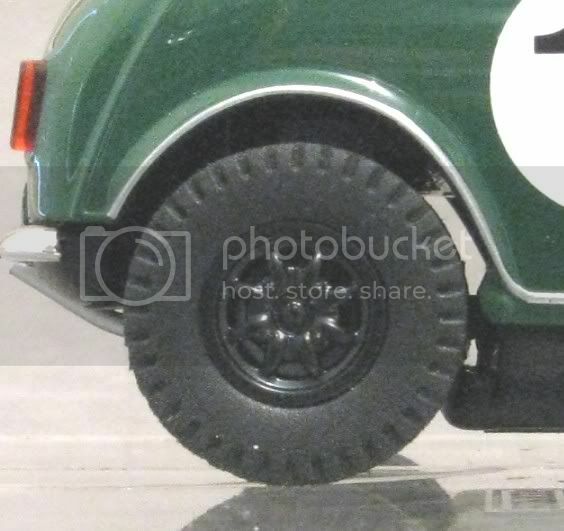 In the early days we had the basic open bottomed, snap together mini with the RX open framed motor. 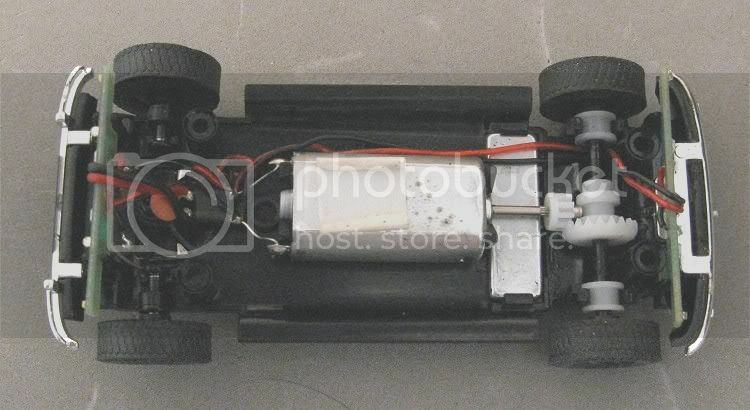 They even produced an FJ motor powered model which was complete with front wheel drive! Back in the days when most Scalextric cars handled rather abysmally, those model behaved half decently on the tight and tortuous circuits laid out on the lounge room floor on Sundays long ago. But Mr Scaley wasn’t the first to produce a mini! This accolade goes the Airfix company way back when minis themselves were still fairly new. The Airfix model could run rings around the Scalextric model even though it was lighter and had one of those low speed ‘cube’ motors which Airfix pioneered. 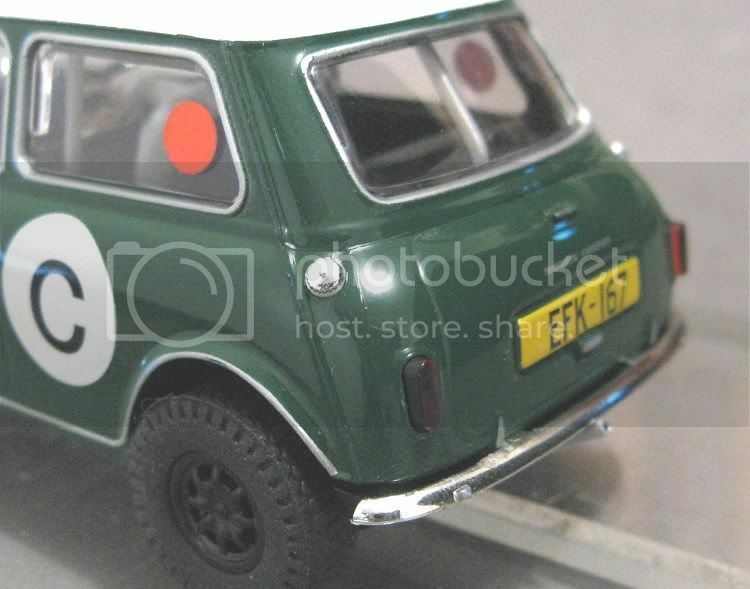 I remember driving my first Airfix mini slotcar at breakneck speed up on two wheels for hour after hour ‘til eventually.......something broke! Please forgive me for being biased for reasons stated immediately above and if I gloss over some glaring anomalies, but I have nothing but admiration for this little beauty and what it represents. Even though in my youth I would return home from work with bruised and bleeding knuckles after spending three or four hours trying to replace a water pump by pass hose.....or burnt and tattered after welding in new rear subrame support panels after the originals failed to last more than six or seven years due to poor metal quality. Yes this car can do no wrong in my eyes. The latest Scaley offering has been out as a moulding for a little while now, firstly as the successful Monte Carlo rally version, and then as a ‘Panda’ (police) car; but this one is especially for us in the antipodes, being the latest in a long line of models which Scalextric have made celebrating motor sport down under. So......as always.........what’s it like......? The mouldings themselves as we have come to expect, are very accurate and very tidy, and detail in the decals is good too; and another fine point is the representation of the windscreen glass rubber expanders and the cursed anodised plastic trim which travelled the length of both sides wheel arches and sill seams. Wipers and filler caps too are very nicely done; but to me there are two or three details Mr Scaley has either got wrong or omitted. Scaley have obviously economised here as the tyres are rally block treads too (a spill over from earlier rally models); and with the Australian model the door glass was a wind up glass as opposed to the British sliding glass of this era, this should have created a need for a quarter glass on the front doors but Scaley have chosen to omit this. All else is good with the exception of a couple of scale issues in the tampo including the size of the orange dots and the positioning of the race class and number roundels, but I won’t tell if you don’t! Once the body is off, the basic interior is on display and there isn’t any need to change much here. Good and bad news is that the front wheels are independent of each other. 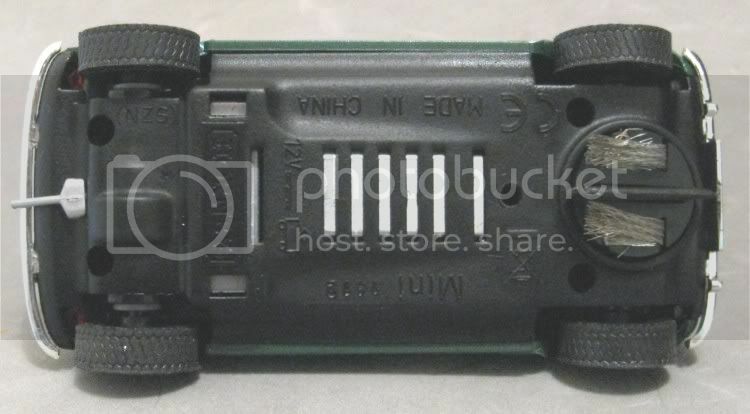 This allows the standard Scaley guide to be fitted, but, because of their loose fit the front of the mode rests firmly on the guide. 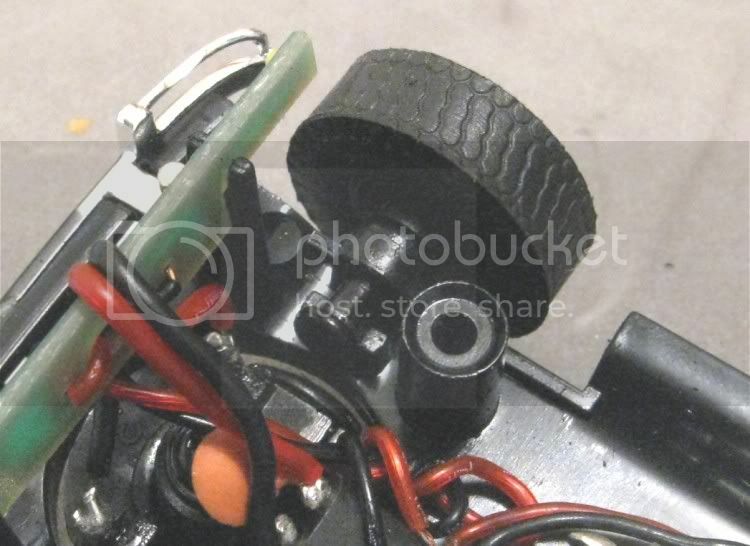 In magnet racing situations it isn’t a big deal, but in non magnet racing the front wheels won’t contribute as much to corner stability as a solid axle would do. 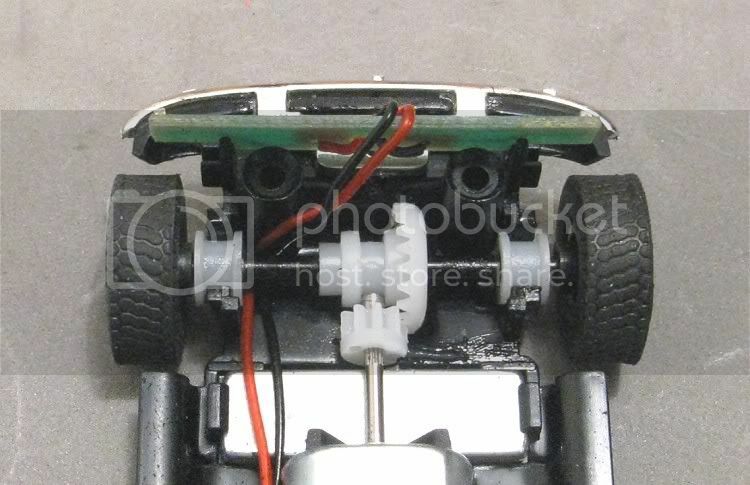 The underside of the body reveals the drivers tray has been cut into to accommodate the motor. 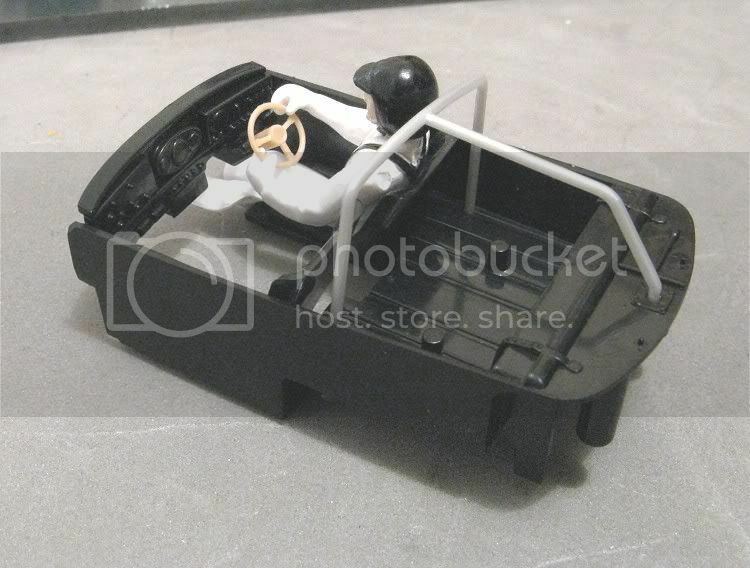 Again not an issue, but I might just paint the visible part of the motor black to help it ‘merge’ into the interior. 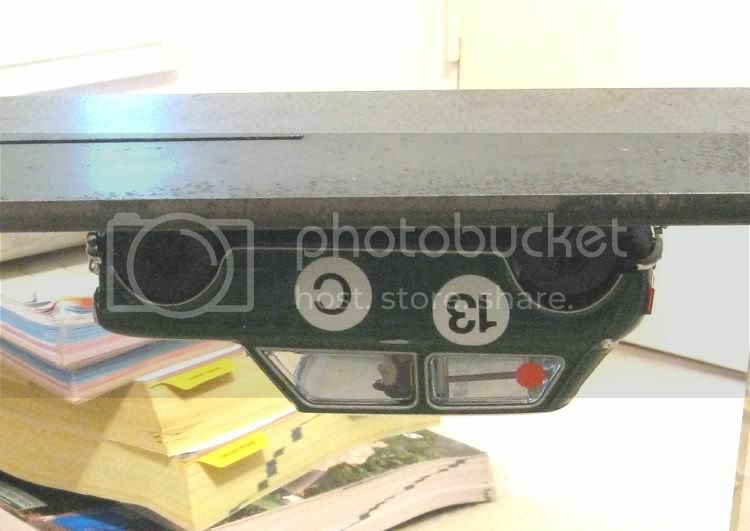 Scaley have also done a fine and accurate rendition of the dashboard, only on this occasion they have left it black rather than picking out the finer detail in silver. The chassis is very well thought out and all the vital functions are present with no overcrowding. 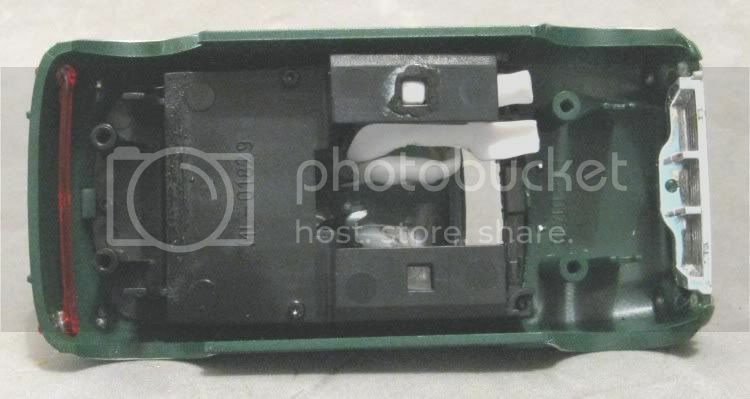 On this model Scaley have decided to attach the lead wires direct to the guide as opposed to using fine single strand wire as they have done in some earlier models, which was a source of unreliability. Light boards are very compact and sturdily mounted and one feature I do like and will note for future reference is the extended motor shaft. This allows the traction magnet to sit comfortably in its rightful position between the motor and the axle, this is a critical factor! Scaley have also decided on a low gear ration to overcome the small wheel diameter. They have achieved this by reducing the contrate to 20 teeth, this also allows the contrate indent in the chassis to be smaller. Something that becomes an issue with some models on early Scaley and SCX track and also on current Ninco track. They have also canted the motor by four or five degrees to help with track clearances. There is heaps of magnetraction on this model as illustrated, and even on magnabraid it hangs on for dear life in the tightest of bends. Returning to the independent front wheels, the wheels themselves are as round as can be expected but the tyres are very irregular. They need a good truing before they can be used successfully, and once this has been done, there is considerably less rubber left on the rim!! On the track the model has a bit of a nose down posture, but I seem to remember this was fairly normal for minis fitted with the Moulton rubber suspension, something which evened up with four people inside! On the track the model is a proverbial missile. It has average straightline speed but does everything else at a hairy speed, Corners are in, through and out before you can say Paddy Hopkirk and the model rolls for yards in the event of a deslot adding chaos to the rest of the field in a tight race. In spite of its smallness it can go hard in magnet situations and as a consequence don’t be surprised if the bumpers become the first statistic! All else looks pretty secure and the model shouldn’t look too second hand after a few races! 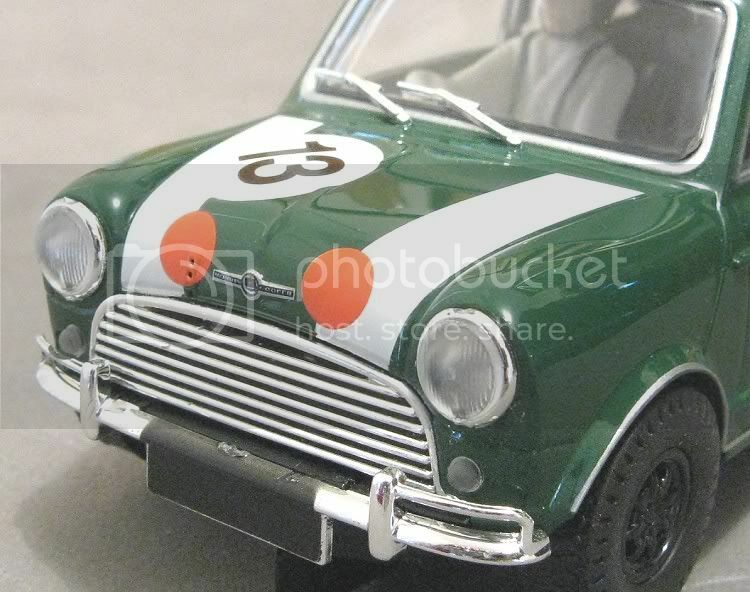 Interesting to note that the Scalextric web site lists this model with a 21z crowngear ? I have counted mine a dozen times and it still only has 20 teeth???? Also, the spares sheet list motor is Pt No W9547. Scalextric Guru Adrian Norman is on record as quoting this motor as 15,000 rpm, the Scalextric web site lists the motor at 18,000 rpm ?? 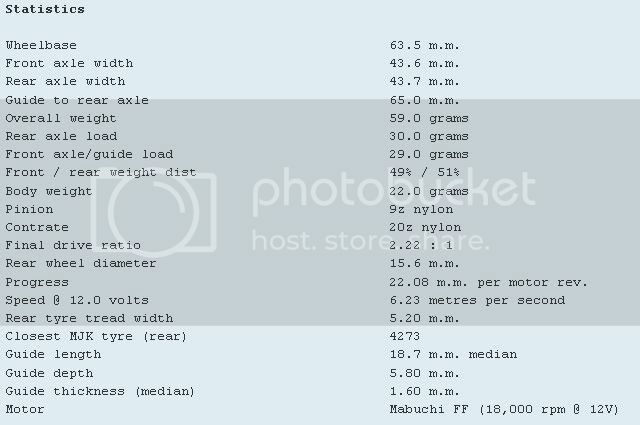 and a leading International slotcar retailer lists it at 22,500 rpm??? I’ll let you guys judge for yourselves, Mmmmmmm? This is a great model from Scaley if only from the fun to be had from ‘mini racing’.... Four or six of these on a grid will be something to savour, the only downside is that it doesn’t look to be digital ready? Imagine six of these on a two lane digital track??!!..... You’d need to issue the marshalls with catchers mits!! !